Whilst we're walking around town with our heads down, eyes glued to our phone screens, we may be missing something blindingly obvious: someone else may be spying on your twitter account. But this is exactly the mistake that could lead to people using our accounts without our permission. It doesn't just give them access to publishing tweets on your behalf but also spying on your direct messages and private conversations. Not sure if this could be you? Then this is what you need to do to find out whether someone is watching your account - and what's better, you can see exactly where they are spying from. On the desktop version of twitter, go straight to settings > Your Twitter Data. You will then be asked to enter your password to prove that you are you. 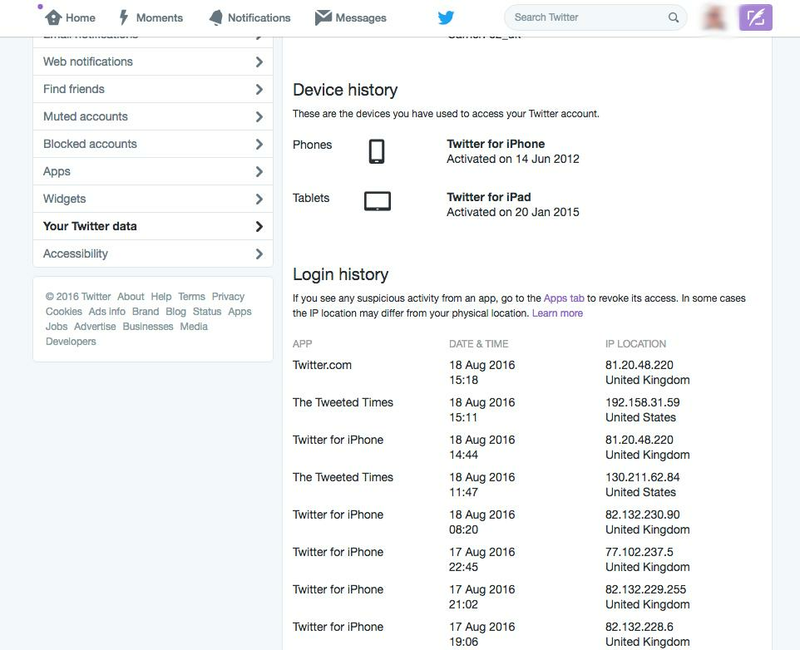 This will then bring up your 'Login history' which will show exactly what time you used twitter, how long for and whereabouts you were when you logged on. You'll probably recognise your devices on there. If there's something on there that you don't recognise, you may be looking at a device that you've forgotten to log out of. Here's how you sort it out. Go to the 'Apps' tab on the option bar and it will bring up all of the devices that have access to your twitter account. Kill off the ones that you don't recognise to prevent any future access. Whilst you're there, take a look at 'Connected apps' to see the applications you've given access to your account. Again, if there's anything you don't recognise there, revoke it's access to give you peace of mind. And if you want to make your Twitter account safest of all, change your password and change your security settings to allow Login Verification when you go to use the app.